Would it be weird if I brought a life-size cardboard cutout of Derek with me to Wanee this year? I mean, weirder than it already is, currently riding shotgun in my car so I can cheat the HOV lane? The sad truth is that it's going to be a much different walk from camp to the Peach Stage in 2015 without the promise of Derek and Susan. This has always been a family festival and it feels like there are two empty seats at the table. Seats that can't be filled. Personally, I'm all in for forming a small non-violent militia to track them down on tour somewhere in the northeast and (in very non-violent ways) lure them back down to Live Oak. There's a Hungry Howie's near the venue. Think we can convince them with free pizza? (Sigh) It's just not going to happen. Alas, this marks the year Derek and Susan officially make a statement and branch out on their own. And we're all just going to have to deal with some empty nest syndrome as our little two-headed baby bird has officially flown off. Apparently to Pennsylvania. But Wanee is nevertheless going to be massive this year, especially with back-to-back headlining nights of Widespread Panic. And while it'll be strange to not have the Allman Brothers as the main act, we can still expect JB and the boys to play blistering sets leading everyone into midnight. And, as any Wanee veteran knows, that's when things get ... weird. My advice: Find a hammock and hold on. The spaceship is arriving. Of course, earlier in the night we'll still get our fix of family. Most notably, there will be Gregg. And there will be Warren. And while the schedule isn't officially out yet, I think it's safe to assume we'll get great pre-headlining performances each night at the Peach Stage, one from Gregg and one from Gov't Mule. So, from about seven o'clock on, gird your loins and hydrate. Beyond all this, personally speaking, my other major highlights this year look to be Leftover Salmon and Yonder Mountain String Band, both hopefully on the Mushroom Stage leading up to the pre-headliners. It's a scientific fact that there isn't a better stage on the planet, and hopefully we'll get some late afternoon string music at the magic hour. Right around five-fifteen when the light and temperature is just perfect. Additionally, this year we also get a little Zappa Plays Zappa and The Word. So, make sure not to miss both of those as you sample all the other great music throughout the weekend. Other best bets include: Hot Tuna (Electric), Galactic, and whatever insane madness Dumpstaphunk brings this year. Look, it's not going to be the same as previous years. 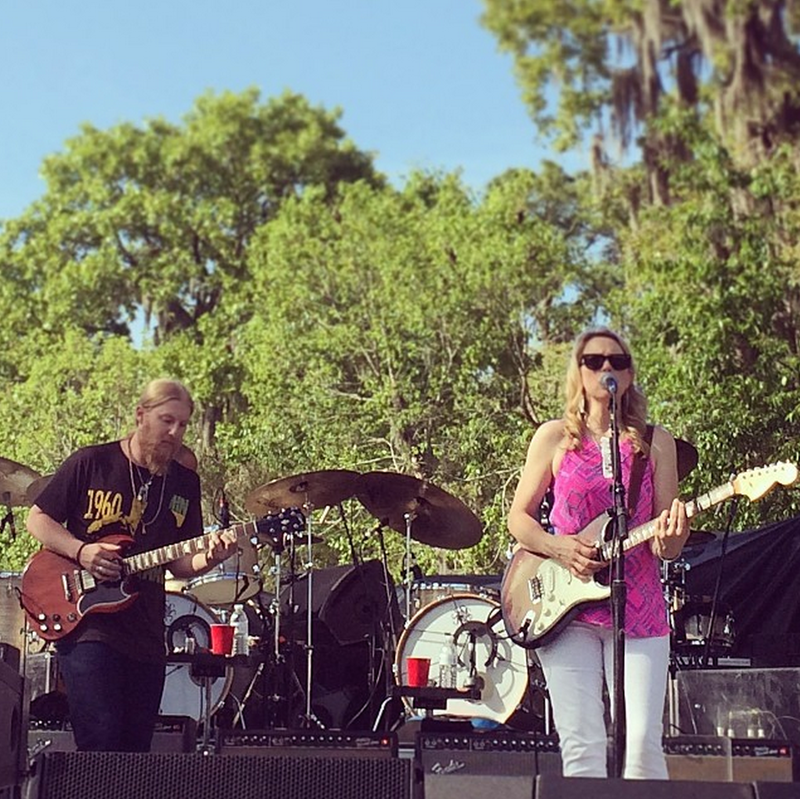 No Allman Brothers and no Tedeschi Trucks is a little hard to swallow. But Wanee goes on. And the spaceship is on its way. That being said, does anyone know what Derek likes on his pizza?